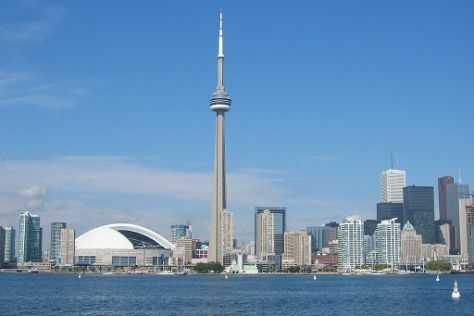 Bring the kids along to CN Tower and Toronto Zoo. Change things up with these side-trips from Toronto: Foreign Affair Winery (in Vineland) and Niagara Falls (Journey Behind the Falls, Niagara Parks Butterfly Conservatory, & more). There's much more to do: see the interesting displays at Royal Ontario Museum, take in the spiritual surroundings of St Michael's Cathedral Basilica, get to know the fascinating history of The Distillery District, and admire nature's wide array of creatures at Ripley's Aquarium Of Canada. To see maps, ratings, traveler tips, and tourist information, read our Toronto trip itinerary maker website . Sao Paulo, Brazil to Toronto is an approximately 13.5-hour flight. You can also do a combination of bus and flight. The time zone difference moving from Brasilia Time to Eastern Standard Time is minus 2 hours. Traveling from Sao Paulo in May, things will get slightly colder in Toronto: highs are around 22°C and lows about 11°C. Cap off your sightseeing on the 4th (Tue) early enough to travel to Ottawa. Ottawa is known for museums, trails, fun & games, nightlife, and historic sites. Your plan includes some of its best attractions: ponder the world of politics at Parliament Hill and Buildings, pause for some photo ops at Oscar Peterson Statue, examine the collection at National Gallery of Canada, and enjoy breathtaking views from Peace Tower. For where to stay, reviews, maps, and other tourist information, use the Ottawa tour itinerary builder . You can fly from Toronto to Ottawa in 3 hours. Other options are to take a train; or drive. In June in Ottawa, expect temperatures between 26°C during the day and 15°C at night. Wrap up your sightseeing on the 7th (Fri) early enough to take a train to Montreal. Kids will appreciate attractions like Biodome de Montreal and Chateau Ramezay Historic Site and Museum of Montreal. There's still lots to do: take in the architecture and atmosphere at Notre-Dame Basilica, admire the masterpieces at The Montreal Museum of Fine Arts (Musee des Beaux-Arts), take in nature's colorful creations at Montreal Botanical Garden, and hunt for treasures at Jean-Talon Market. To see photos, more things to do, reviews, and other tourist information, you can read our Montreal driving holiday planning site . Take a train from Ottawa to Montreal in 2 hours. Alternatively, you can drive; or take a bus. June in Montreal sees daily highs of 27°C and lows of 17°C at night. 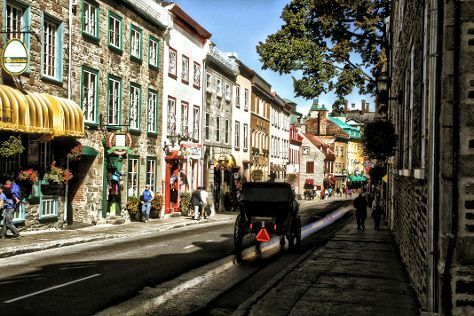 Finish your sightseeing early on the 10th (Mon) so you can drive to Quebec City. Kids will enjoy Place Royale and Musee national des beaux-arts du Quebec (MNBAQ). There's still lots to do: wander the streets of Old Quebec, get lost in a book at Literary and Historical Society of Quebec, brush up on your military savvy at La Citadelle de Quebec, and appreciate the extensive heritage of Terrasse Dufferin. For reviews, more things to do, photos, and more tourist information, read our Quebec City trip maker app . Traveling by car from Montreal to Quebec City takes 3 hours. Alternatively, you can take a bus; or take a train. Expect slightly colder evenings in Quebec City when traveling from Montreal in June, with lows around 13°C. Wrap up your sightseeing on the 13th (Thu) to allow time to travel back home.